Financial experts agree that the key in purchasing any car, truck, or SUV, is to understand the total amount of money that you’ll spend owning the vehicle. The concept is called Total Cost of Ownership (TCO) and is a financial estimate that helps consumers determine the full and total costs of owning a car, truck, or SUV. TCO goes beyond the initial purchase price to consider the full cost of a car, truck, or SUV over the time that you own it. A TCO analysis often shows there can be a large difference between the purchase price of car and its long term cost. 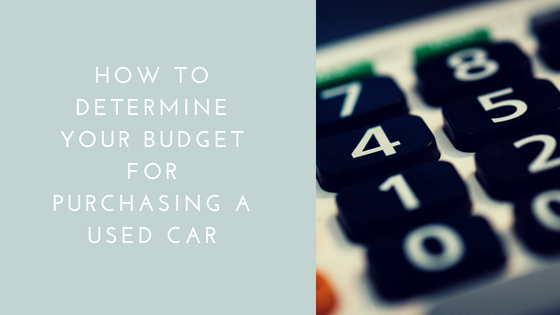 The idea is to make certain that when you purchase a vehicle you know that you’ll be able to operate and maintain it properly, without breaking the bank. Let’s look at the key factors that are included in TCO. To determine what you’ll need to spend on fuel, divide the number of miles you drive each year by your car’s fuel economy rating, available on FuelEconomy.gov. Multiply your miles driven by the price of a gallon of gas in your area. By purchasing a vehicle with better fuel economy you can lower this cost, which can be significant if you plan on keeping it for several years. For example, if you drive 15,000 miles per year and the vehicle in which you’re interested achieves a combined fuel economy rating of 28 miles per gallon, which adds up to about 535 gallons per year. At $3.00 per gallon, that’s about $1600 a year or $134 per month. Select another vehicle that is rated at 35 mpg combined and your fuel budget drops by nearly $30 per month. The average cost of maintenance is about $100 per month for a late-model car. That includes oil changes, tires, brake pad replacement, etc. Major repairs fall outside that number. Depending upon how old and reliable the car, truck, or SUV you’re purchasing, you may want to consider purchasing an extended warranty from the dealer so you’re not suddenly handed a huge bill for an unexpected repair. Add together your annual motor vehicle registration renewal amount along with any state taxes and other recurring costs, like if you have to pay to park where you work, then divide that number by 12 months and add to your list. This is a cost many people don’t consider as it’s not something you see each month, but instead hits you all at once when you go to sell or trade in your car, truck, or SUV. You don’t strictly have to add this to your monthly costs but it’s good to be aware of this factor. The good news is that by purchasing a used car, you avoid the worst of the depreciation. In their first year, cars lose around 20% to 30% of their value. Over the next five years, depreciation is between 15% and 18% per year, depending on the type of vehicle, condition, and market conditions. You may think you have no control over this number, but in fact you can influence it. One is by purchasing a car that depreciates slower than average. The other is by maintaining the vehicle by the book (the owner’s manual, of course), and keeping a copy of all records. A vehicle with a complete service history can be worth 5% - 10% more when you go to sell or trade. These two expenses account for over 60% of your total out-of-pocket costs, so it’s important to evaluate them closely. Shop around for car insurance, which is now easy to do online, as rates can vary by a surprising amount. The final eliminate is the car payment itself. You can complete the rest of the calculations and determine the subtotal. Financial advisors recommend that you spend no more than 25% of your monthly take-home income on TCO for your vehicle. For example, if your net income is $40,000 per year, divide that by 12 to determine your monthly net income which would be $3,333 per month. If you allocate 25% to your TCO for your vehicle that gives you a total budget for payments, insurance, maintenance, and fuel of just over $800 per month. If you follow these simple recommendations you’ll find that you’ll be able to afford your car, truck, or SUV without squeezing you financially.